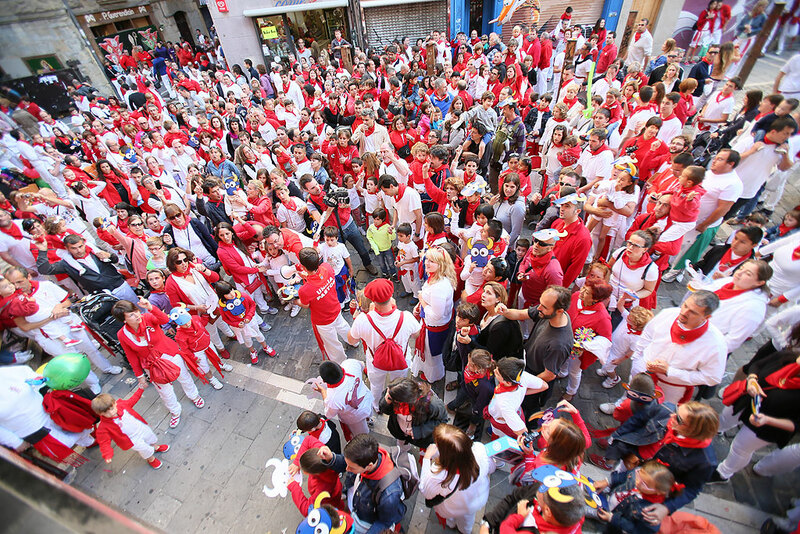 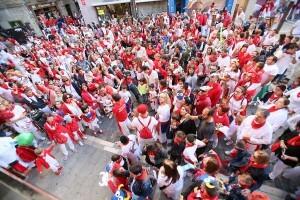 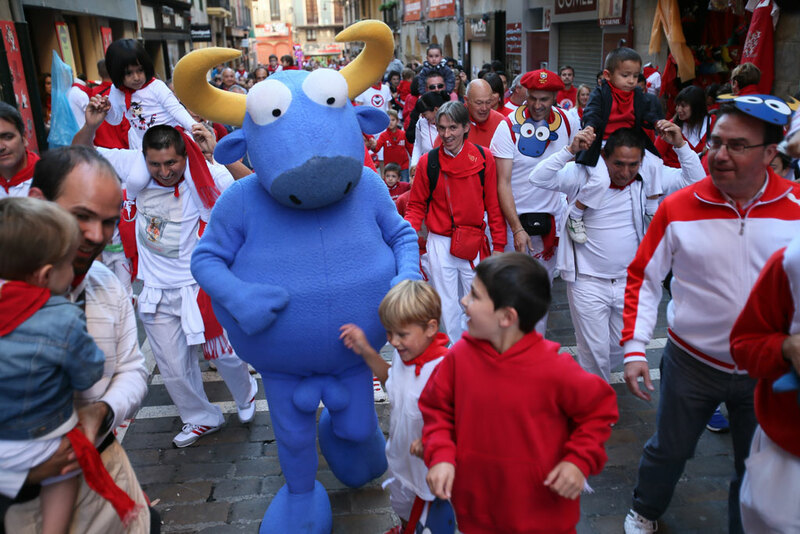 This evening at 19:00 p.m. Mr. Testis and his pack of fighting Bulls will once again have the kiddies rolling at the Kiddies Running of the Bulls. 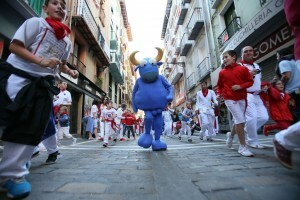 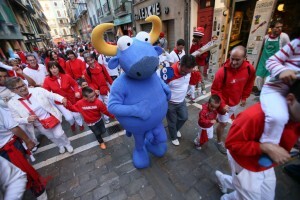 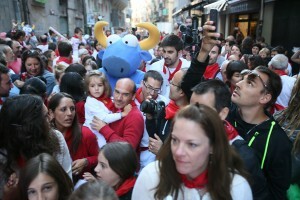 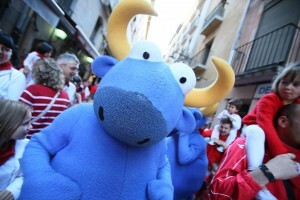 The Kukuxumusu Blue Bull will come out of the pen alongside his fighting bullmates at the Kukuxumusu Store at no. 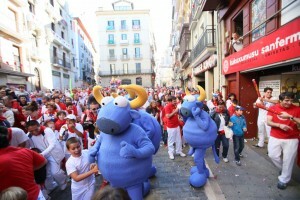 19 Mercaderes Street and they will run as far as the fencing located at their other store at no. 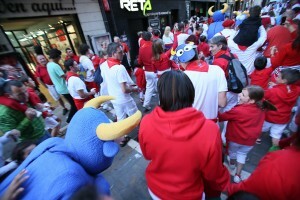 76 Estafeta Street. 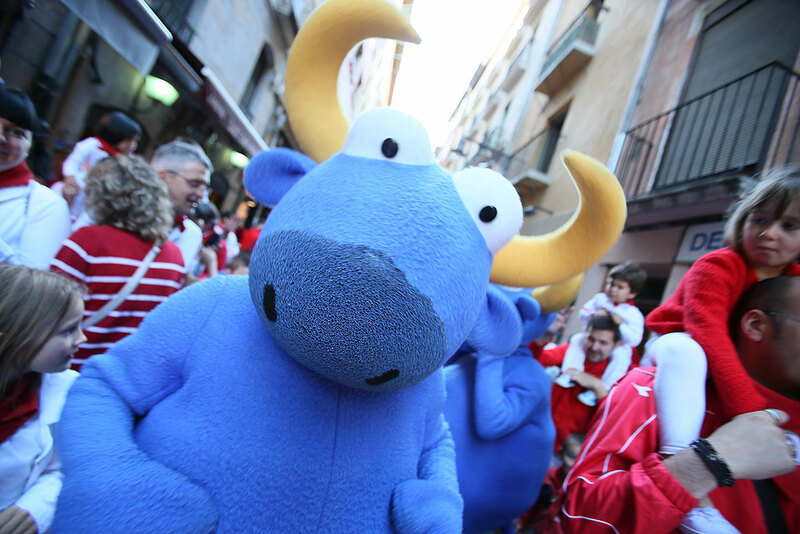 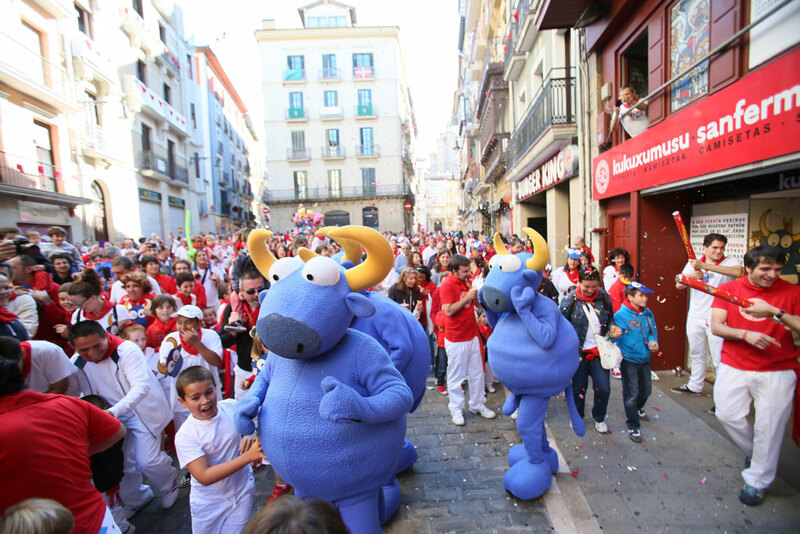 Kukuxumusu has been giving the kiddies a chance to learn how to run a bullrunning for some years now as they enjoy themselves running with some big, cuddly, stuffed blue Bulls. There will, of course, be a homily sung to the saint and there will be bull-minders there and a rocket will go off. 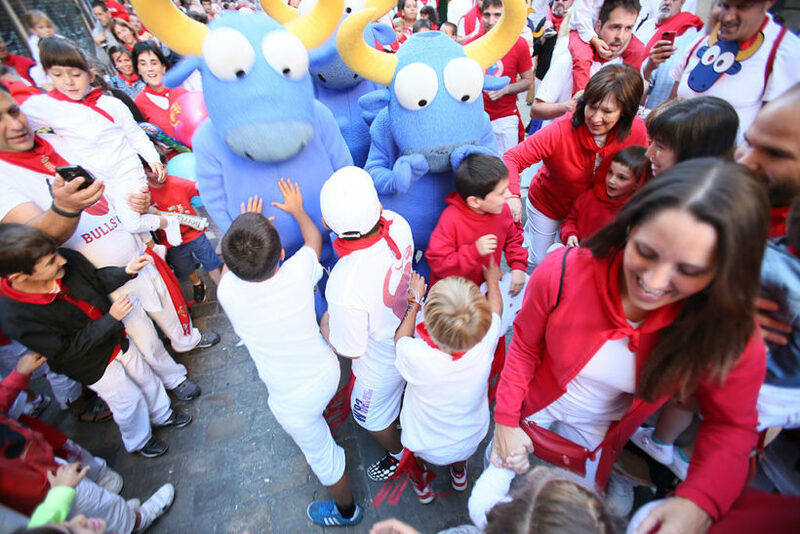 But above all, there will be lots of mini-runners ready to have a hell of a good time.